Four years after setting up its first store in the country in 2013, the prospects for the Philippine operations of Japanese convenience store chain FamilyMart have suddenly turned uncertain. On October 9, the Philippine Daily Inquirer reported that FamilyMart’s retailing operations in the Philippines have been offered for sale to prospective investors in recent months, noting that the convenience store has been shutting down unprofitable stores in the past 12 months. 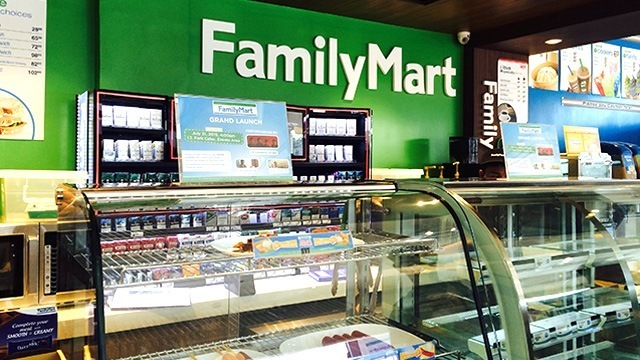 FamilyMart’s Philippine operations are handled by Philippine FamilyMart CVS, which is 60-percent owned by SIAL CV Retailers, a joint venture of Ayala Land, the country’s most valuable property company, and Store Specialists Inc. (SSI), which runs the Rustan’s Group of luxury retailers. Another 37 percent is owned by the parent company FamilyMart Co. Ltd. of Japan while Japanese conglomerate Itochu Corp. owns three percent. In separate disclosures to the Philippine Stock Exchange the following day, Ayala Land and SSI said that SIAL CV Retailers is “exploring various options intended to strengthen and grow the business of Philippine FamilyMart CVS, Inc.” The luxury retail giant clarified that nothing has been finalized. The news that Ayala Land and SSI, two of the country’s biggest and oldest retailers, are considering selling their stake in FamilyMart’s Philippine operations comes as a big surprise amid the rapid growth of convenience stores in the Philippines. In recent years, convenience stores grew faster compared with other retail channels such as supermarkets, grocery stores, neighborhood stores and others, according to a Nielsen Shoppers Trends Report. The branch network of the country’s biggest convenience store chain, 7-Eleven, almost quadrupled to 1,995 as of the end of 2016 from only 551 in 2010. Despite the surge in convenience stores, there is still room for a lot of growth. "We have 40,000 people for every convenience store, while Thailand has 8,000. If you do the math, there will be 15,000 convenience stores in the Philippines within 10 years," Philippine Seven Corp. President and CEO Victor Paterno said in a report by business insight firm Global Convenience Store Focus in 2014. He added the industry’s growth will be further spurred by the proliferation of condominiums and business process outsourcing (BPO) offices. Nielsen’s Shopper Trends report in 2015 also said Filipinos are now more inclined to choose the more convenient consumer option, as c-store chains, which are usually located a stone’s throw away from urban dwellers, offer ready-to-eat meals and fast-moving commodities. The bright prospects of convenience stores in the Philippines attracted many of the country’s conglomerates to set up their own convenience store chains. Apart from Ayala Land and SSI bringing in FamilyMart in 2013, the country’s largest shopping mall operator, the SM Group, opened Alfamart while supermarket chain Puregold brought Japanese convenience store chain Lawson in the country in 2014. Indeed, by its second year in the Philippines, FamilyMart had grown quickly to 65 branches by September 2014 and was eyeing to bring its store count to 500 branches by 2018. It also wanted to capture a third of the convenience store market in the Philippines in five to 10 years. Unfortunately, the rapid expansion in FamilyMart’s branch network in the Philippines was short-lived. After growing from 31 branches in 2013 to 90 branches in 2014 then to 114 branches in 2015, the number fell to 100 stores in 2016, according to SSI’s annual reports. That has fallen further to only 68 branches by September 2017, according to the website of FamilyMart’s Japanese parent firm. Remarkably, FamilyMart chains in other Southeast Asian countries managed to grow their branch networks. (See infographic) It’s only in the Philippines where the Japanese convenience store is suffering from massive branch closures. FamilyMart’s Japanese parent company could only wonder why.